From time to time these days, one meets young people—film students even—who can’t quite place Gary Cooper. Come May 13, he will have been dead for 51 years; and on May 7—the day I’m writing—he was born in 1901, up in Montana. Which seems appropriate for one of our great cowboys or Westerners, except that after being raised first on a cattle ranch he spent seven crucial years of his childhood in Dunstable, Bedfordshire, in England. Cooper was an icon, famous for not saying much, and seeming to do very little in front of the camera, until his image arrived on the screen and possessed it—usually in silence, doubt, shyness, and steadfast uncertainty. He was a movie hero without equal, never as cocksure as Clark Gable, or as barbed as Bogart; he was as diffident with women on screen as he was … well, a chronic and adroit womanizer in life. He was perfectly cast and prepared for unquestioned, loner heroes in the American dream of casual courage and implacable loyalty to the cause. He played Mr. Deeds for Frank Capra, Sergeant York for Howard Hawks, Wild Bill Hickok in The Plainsman, Lou Gehrig in The Pride of the Yankees, in stylish uniform for Beau Geste and The Lives of a Bengal Lancer, and the sheriff who is ready to forsake a new bride, retirement, and safety to defend the town that does not deserve him in High Noon. There was international mourning when it was revealed, in 1961, that he was suddenly dying—yet that only showed how many people had failed to notice the gaunt anguish gathering in his face for ten years. 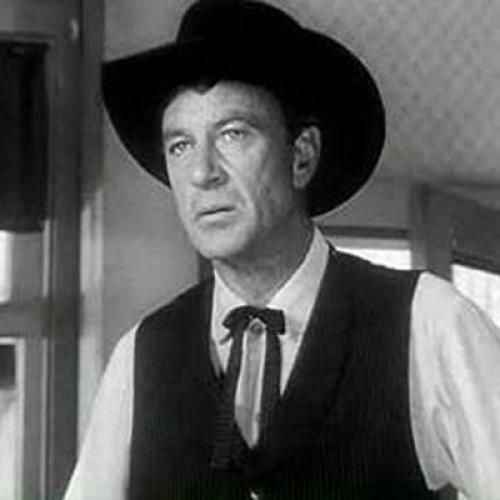 “There’ll always be Gary Cooper,” they said, remembering that he had started in silent pictures, and he’s still there now in the DVDs, and there are people who remember him, and some who think of the name as characteristic of “John Doe”—another of his roles for Capra, playing the hapless hobo, a baseball player with a bum arm, who is taken up in a time of crisis to be a folklore hero and even a potential demagogue figure in the plans of powerful leaders. Meet John Doe is one of the essential Cooper roles: His beauty as a young man (there is no other word) is turning shabby, cautious, and fearful. He has natural good sense—decent and abiding—but no learning or authority beyond that air of nobility that is beginning to be betrayed by anxiety. Yet he contrived to be the leader of a group of dictionary-makers in Ball of Fire, and he was Ayn Rand’s architect-as-building in the film of The Fountainhead. Rand had wanted Humphrey Bogart at first to play Howard Roark, and she was used to getting her way. How can Coop do those big, grandiloquent speeches, people wondered? But he did it and he was persuasive as a willful genius who has himself been carved out of a Montana hillside. When one of his films, The Westerner, was faltering in pre-production, Coop called in on the screenwriter, Niven Busch, and suggested. ”Just make me the hero and it’ll work out.” Busch was amazed at such vanity until he realized it was less boasting than a simple observation. So fellow filmmakers went in awe of Cooper’s laconic instincts and his natural timing, and actresses often ended up in his bed. There’s the trick to the man, the thing that has outlasted all those stalwart guys he played, and what makes him still fascinating. The truest of movie heroes was a wreck in life—promiscuous to a degree, not very brave and torn between being a cowboy and working as an actor and being for a time the highest paid man in America. He was known on screen for wearing dusty cowboy buckskin, but in life he adored fine clothes and knew he had the figure for wearing them. He was married to a socialite and a Catholic, and he cheated on her whenever the slightest chance appeared. One reason why The Fountainhead works is that he and his co-star, Patricia Neal, were wildly in love. She was his junior by 25 years, and Cooper actually left his wife for her but then succumbed to guilt, tears, and “responsibility,” returning to his wife and daughter and continuing to have nearly automatic affairs. He could appear on screen with women with the awkwardness and trepidation of someone about to go into surgery, but then on screen there was chemistry—with Dietrich in Morocco and Desire, with Jean Arthur in Mr Deeds Goes to Town and The Plainsman, with Barbara Stanwyck in Meet John Doe and Ball of Fire, with Ingrid Bergman in the sleeping bag in For Whom the Bell Tolls. (He was Hemingway’s favorite actor and the two men would go shooting together, with Papa looking rough while Coop could have stepped out of the J. Peterman catalogue.) That way with women was still there in 1957, enchanting Audrey Hepburn in Billy Wilder’s Love in the Afternoon. He was a star long enough to have made plenty of poor films, but he knew to ignore such temporary interruptions and wait patiently for a better arrangement of role, script, and the right company. He got Oscars for Sergeant York and High Noon, and then he got an honorary award when it was known he was dying. We can guess by now that his best work went without a prize—it’s there in Meet John Doe, The Fountainhead, Morocco, and Anthony Mann’s Man of the West, and a legacy that shows in the manner of Sam Shepard’s Chuck Yeager in Phil Kaufman’s The Right Stuff, in Indiana Jones, and in most of the roles taken by Clint Eastwood. Of course, we know now that our culture does not quite merit such stars and heroes, and Cooper’s death was surrounded by the passing of so many similar stars—Bogart, Clark Gable, Tyrone Power, Errol Flynn, Spencer Tracy. They would be replaced by the irony of Sean Connery, the cartoonery of superheroes, and the mysterious but fixed barrier that separates Tom Cruise and so many others from a sense of adult mortality. One reason why young people today have forgotten Cooper is that they deny or reject the principle of growing older. So Cooper had the innocence of the 1930s, but he was under a shadow, too, one that started up behind his eyes, and which turned his superb stride and ease into arthritis. He died a devout Catholic, but the stunning, confident supremacy in Cruise’s face never dawned on Gary Cooper.